Ever have a weird moment when something happens and it’s too perfect to be coincidental? You might be driving down the road and a song comes on that talks about a specific landmark you’re passing. Or, as happened to me recently, a song came on that had a tempo absolutely identical to the pace of my ILX’s windshield wipers. For the entire 3 minute & 33-second duration of Rascal Flatts’ “I Like the Sound of That,” my wipers were rocking out to the exact pace of that song. What in the world? I had to screen shot it because the timing couldn’t have been better. And both, mind you, striving for exactly 55 miles per hour but falling just a tad short. I guess this blog really became named Drive to Five for a reason. I had a newcomer in the garage for one night as my friend Hy entrusted me with his pride and joy 2004 Acura TSX. With just 61,000 miles on the odometer, this beautiful little 6-speed looks like it’s fresh off the showroom floor. I especially like the body kit and chrome wheels. “Fastidious” is the best way to describe Hy’s care for this automobile. Two layers of floor mats, towels on the seats, and a clear bra on the front end that keeps rock chips at bay. It’s no wonder the car looks, smells, and drives like it’s brand new (not 12 years old). Meanwhile the Legend got to see some daylight for a bit. It’s developed a nagging power steering leak which is becoming quite aggressive. That comes as a disappointment since the entire rack & pinion was replaced just 12,000 miles ago for $800 with a remanufactured unit. How did my original power steering system last 530,000 miles before it developed a leak, and my remanufactured one lasted only 12,000? I have a couple of high-mileage stories for you to kill time with today. This one is apparently old news, but for some reason I’m just now learning about it. There’s a guy named Habib who delivers medical supplies in his 2006 Honda Civic all across Kentucky. This 51-page thread on the Civic enthusiast forums chronicles his progress as he racks up the miles. 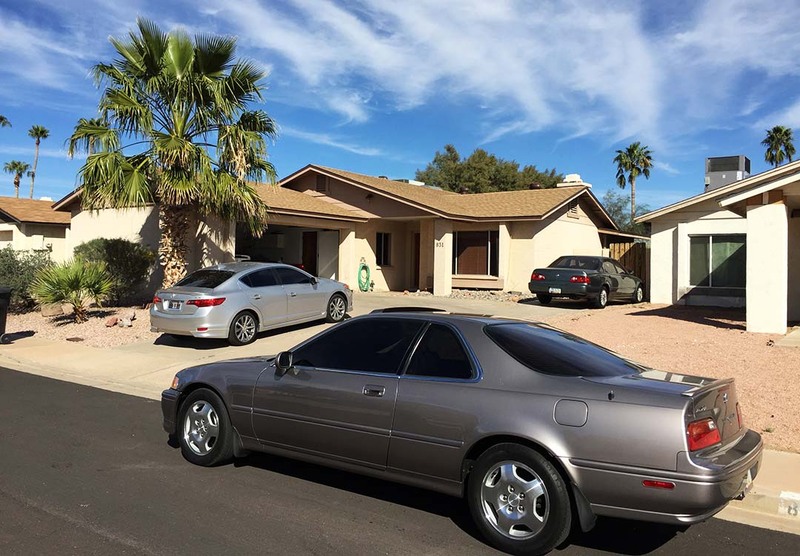 In 2012, he was featured on Jalopnik at 750,000 miles, and as of latest update on his forum post (this month) the car is still running and driveable but sidelined at 1,100,000 due to a bad head gasket. He plans on fixing it and continuing to drive. I’m also introducing “Russell” from Connecticut to my blog audience. 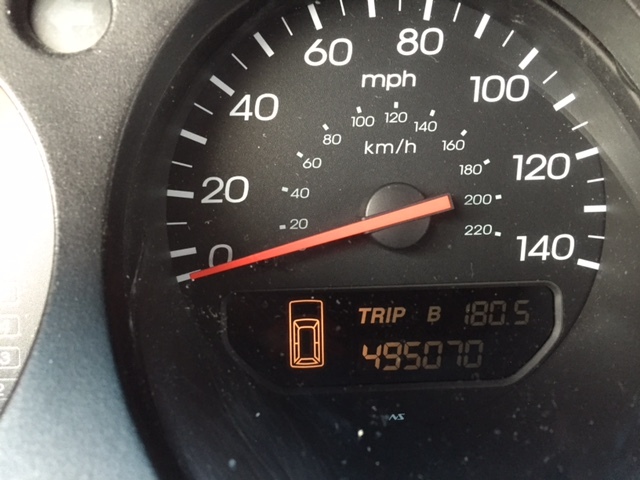 He reached out to me this week to report that his 2001 Acura MDX has over 495,000 miles on it. 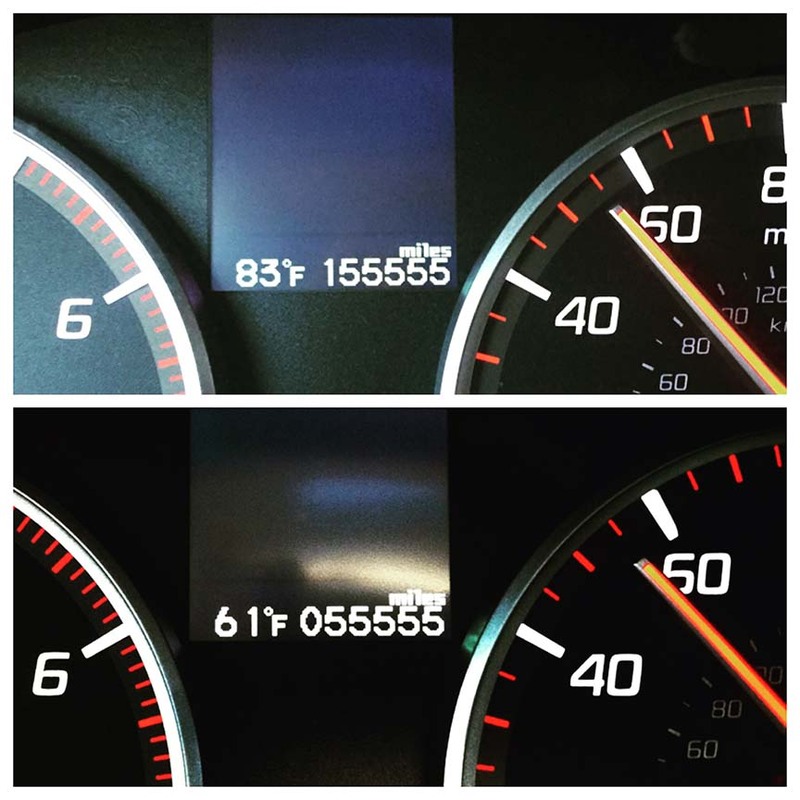 Russell bought the MDX brand new in April 2001 and has spent the last 15 years driving it on average 33,000 miles per year. He’s on his second transmission but otherwise has had very few unexpected maintenance needs. Most interesting of all: his choice in fuel. Russell has run only 87 octane for most of the MDX’s life. “Premium Fuel Required”? Maybe not. 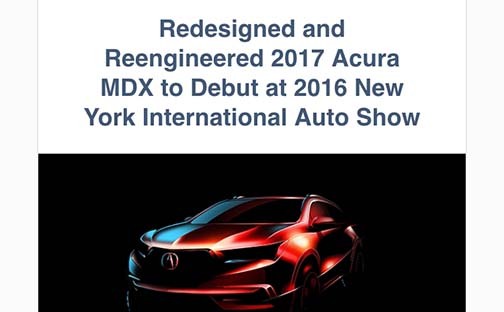 Speaking of MDX news, get a glimpse below of the soon-to-be-revealed 2017 MDX in the below image from a press release that came out today. The real deal will be unveiled in a press conference at the New York Auto Show on March 23rd. 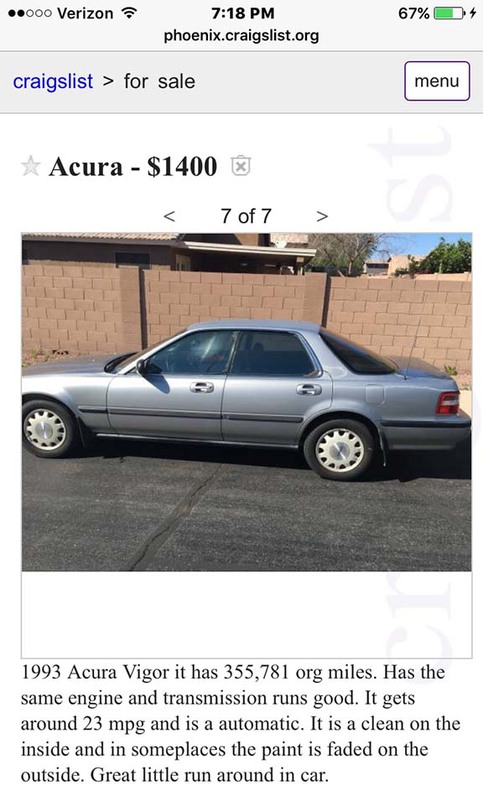 One more little quirky mileage find: This 1993 Acura Vigor automatic with 355,781 miles on it was found on a craiglist posting here in the Phoenix area. How in world did that little 2.5 liter 5-cylinder get so far? I’m tempted to call the seller/owner just to ask and find out. My dad & stepmom are flying in from northern Utah tomorrow so we’ll have a few adventures to share with you on the flipside. This entry was posted on February 24, 2016 at 6:17 pm and is filed under ILX, Legend, MDX, Milestones. You can follow any responses to this entry through the RSS 2.0 feed. You can leave a response, or trackback from your own site. Thanks again for “babysitting” the old TSX. Somehow it may have been catheratic having it next to the NSX as it now runs quicker. 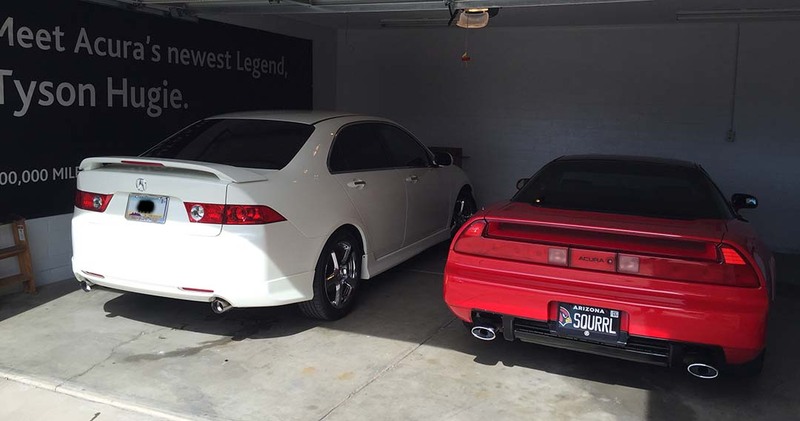 I admit, the temptation to take the TSX out and put a few miles on it was very real! That car seems to have perfect packaging. The size is right, the power is ample, and that 6-speed transmission is seamless. Plus how many decade-old cars still catch the eye like yours did on Tuesday morning when I spotted you in my rearview mirror? Glad to see you this week! What a ka-wink-a-dink that everything was in 5’s this go around. How OCD must you be. 😉 That new MDX teaser looks wicked! OCD is right! Maybe I should have replied to this comment at 5:55 in the morning instead of 6:07 in the morning. Oh well. Yeah I wish I could be at NYAS for the MDX reveal but it’s not in the budget or schedule at this point! Catchy tune… And many interesting coincidences this go-round! 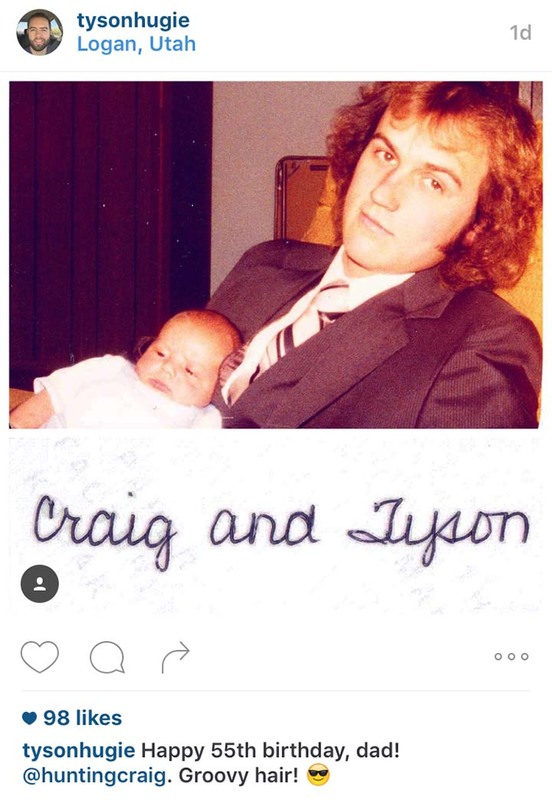 Happy birthday to your dad. You may want to change the name of your blog to “Drive to Fives”! Ha! Huegs, the MDX is already up for a redesign?? The sketch looks pretty swanky!! I was thinking about that too. The current-gen MDX just debuted in 2014 as an all-new model, so this would make sense to be more of a refresh than a full redesign. I guess we’ll see what they have up their sleeves in about a month! Also interesting how Russell only ran 87 octane gas on his MDX. Do you know if he had any power loss at all by not using premium? Hi Sunny, that’s awesome you’d heard of Habib before. I would love to meet him (and “Million Mile Joe,” of course) someday. I haven’t had a full interview with Russell regarding his MDX – just a few emails back and forth – but I put him in touch with the folks at Acura corporate in case they wish to acknowledge his achievement in any way. Hope so! If you ever hear of one, let me know! We ALL know you’re going to call about that Vigor! What’s one more storage bay? I know! The design is pretty timeless. How’s yours doing? Mine is nice too. 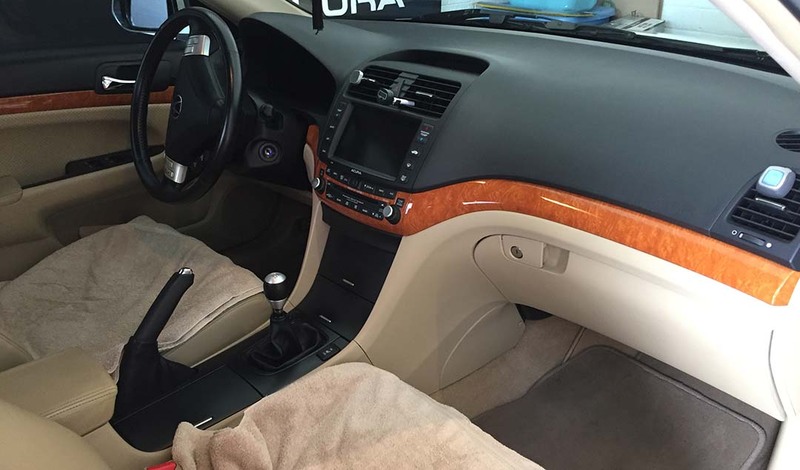 Bu not as clean inside as that 2004 TSX.